How do you order Amlodipine 5 mg online? 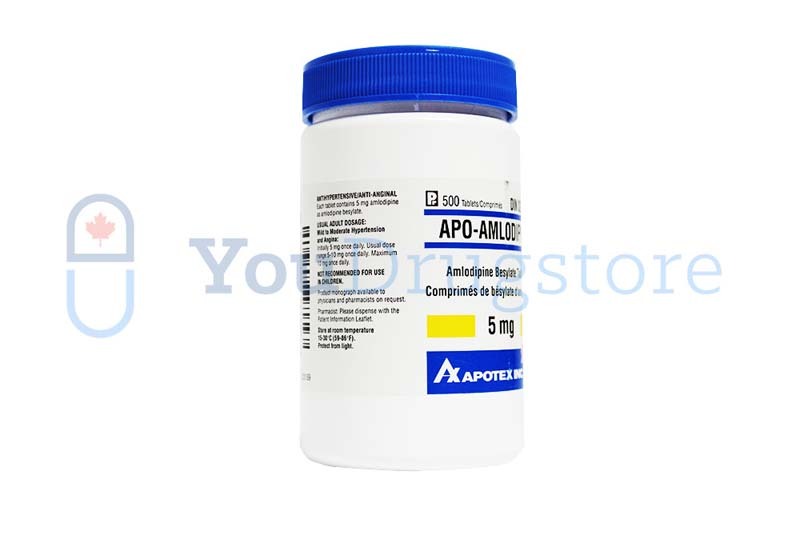 You can order Amlodipine 5 mg from Canada. YouDrugstore is an online pharmacy based in Canada, where you can buy Amlodipine 5 mg for the same price Canadians pay. Just register an account on YouDrugstore.com and send us your prescription. Once we have received all of the required information from you our team of licensed pharmacy physicians and technicians will review your order. 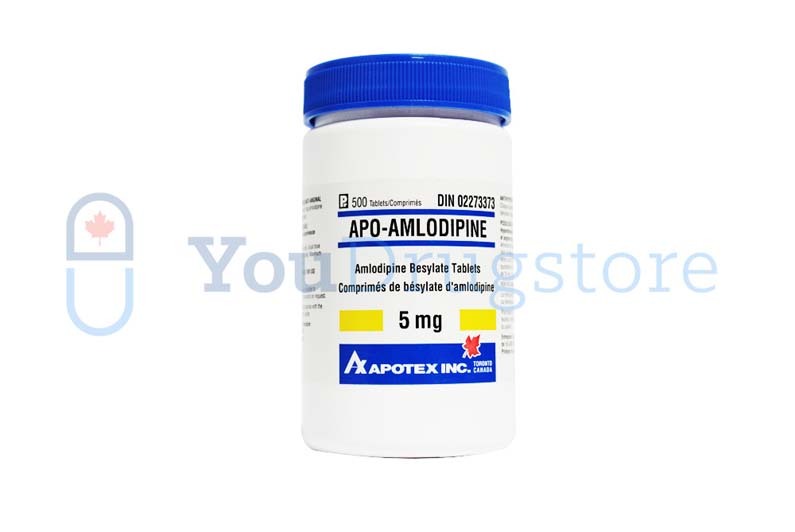 Purchase Amlodipine 5 mg at YouDrugstore and we will ship your order right to your mailbox for a cheap cost in shipping. We also offer free shipping on all orders over $100. Amlodipine is the generic version of Norvasc, and it is used to treat high blood pressure and angina pain. Order Amlodipine 5 mg from YouDrugstore today and treat your high blood pressure. What are the side effects of taking Amlodipine 5 mg? There are not many side effects that occur often when taking generic Amlodipine 5 mg; however, the most commonly reported side effects include headache, tiredness, nausea, fatigue, and dizziness. These side effects should be short lived, and they should not be severe. If they are severe, or if they persist, tell your doctor as soon as possible. Other side effects that are considered serious include severe dizziness, hallucinations or delusions, an increase in chest pain, jaundice-like symptoms, fainting, severe swelling in the legs or ankles, and an allergic reaction. Speak to your doctor immediately if you experience any of these side effects. An allergic reaction from taking Amlodipine 5 mg generally includes an outbreak of hives, difficulty breathing, swelling of the face, lips, or tongue, and a closing of the throat. Go to an emergency room at your nearest hospital if you believe you are experiencing an allergic reaction. When should you take Amlodipine 5 mg? To treat both high blood pressure and the pain from angina the usual dosage of Amlodipine 5 mg is one tablet every day. You can take Amlodipine 5 mg tablets with or without food. If you find that your medication is upsetting your stomach, try taking it with food. If that does not help try having a glass of milk with your meal as well. Your doctor may adjust your dosage of generic Amlodipine several times as your body adjusts to the medication, especially within the first few weeks you are using the medication. This is to ensure that you are getting the right amount that works best for you. Despite these suggestions always take Amlodipine 5 mg exactly as your doctor has prescribed. Why is Amlodipine 5 mg prescribed to treat high blood pressure? Amlodipine is a generic drug that is on the World Health Organization's list of most essential medications required for a basic health care system. It is an alternative to Norvasc. Amlodipine is a calcium channel blocker, which helps by both widening your blood vessels and slowing your heart beat. By widening your blood vessels your blood has more room to flow, thus creating a drop in blood pressure. Slowing your heart beat also lowers your blood pressure as it gives your blood a chance to circulate before more blood is pumped through. Amlodipine is also commonly used in combination with other drugs. This makes Amlodipine a versatile medication. Buy Amlodipine 5 mg from YouDrugstore today and get safe, reliable medication that helps to lower your blood pressure. Who might receive a prescription for Amlodipine 5 mg from their doctor? Your doctor has prescribed generic Amlodipine 5 mg to treat high blood pressure. High blood pressure is also known as hypertension, and it can be detrimental to your health. High blood pressure is a major risk factor for heart attacks, strokes, kidney disease, and much more. Your doctor may also prescribe Amlodipine 5 mg to treat angina, which is chest pain caused by a shortage of blood reaching your heart. Do not take Amlodipine 5 mg without first telling your doctor if you are pregnant or breastfeeding. Do not take Amlodipine 5 mg if you are allergic to it or any of its ingredients. Speak to your doctor if you have any concerns about taking Amlodipine 5 mg.
Where can I learn more about Amlodipine 5 mg?